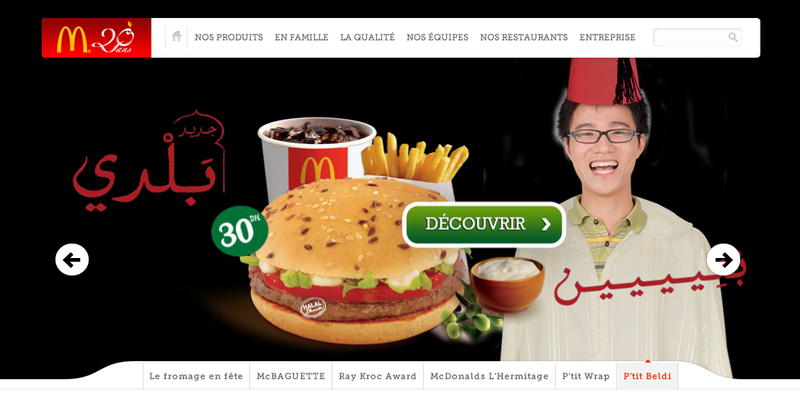 During 100 days, McDonald’s Morocco chose to snub the Internet users. It’s time that each of us mobilizes and notify the media and authorities about it. 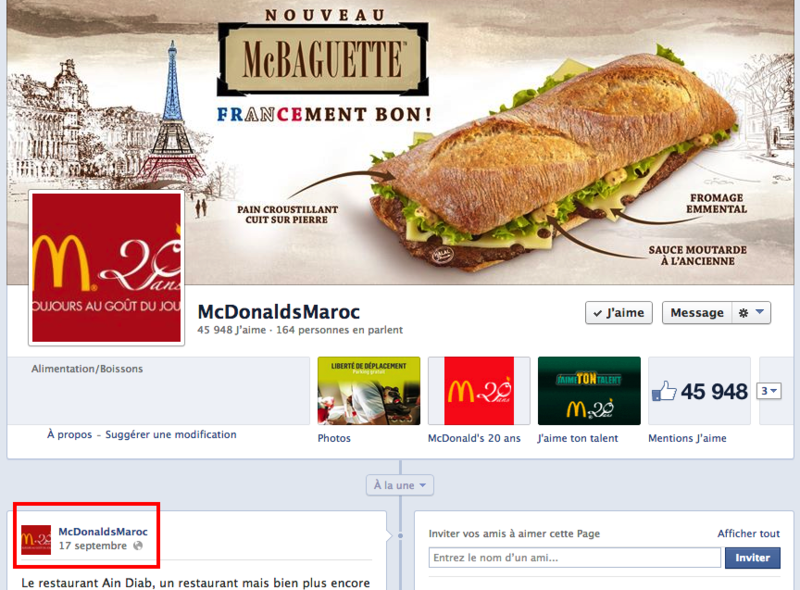 McDonald’s Morocco did not post any message on its page Facebook during 100 days. 100 days without a word on what was until last September 17th one of the main vectors of communication, with the Moroccan television and the offline advertising of « the giant of the fast food ». The business is serious. Very serious. 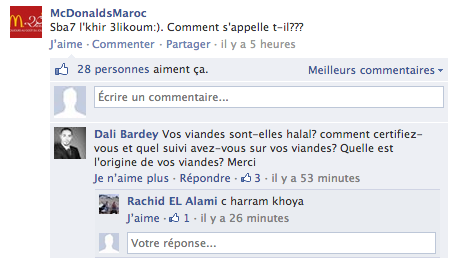 So serious that they perspire within the team of McDonald’s Morocco. And somewhere else, they pray. They pray so that the media do not seize the case of the Moroccan subsidiary which decided to shut away itself in silence and break contact with the Internet users and the Moroccan customers. 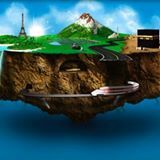 This break is the consequence of questions asked by Internet users on September 16th of this year. Let’s quote for example Dali Bardey. McDonald’s Morocco : Sba7 l’khir 3likoum:). What’s his name??? – Is your meat halal? – How do you certify and what follow-up have you on your meat? – What is the origin of your meat? These questions posted publicly on Facebook spread panic in the office of McDonald’s Morocco, who is still afraid of having to answer it clearly. They are nevertheless justifiable questions. The consumers have the absolute right to know what’s in their plate. No industrialist can forbid to his custommers the right for a complete information. This right, McDonald’s Morocco walks on it cheerfully, while continuing to despise his customers. After three weeks of silence, the brand reacted well, in a very particular way. 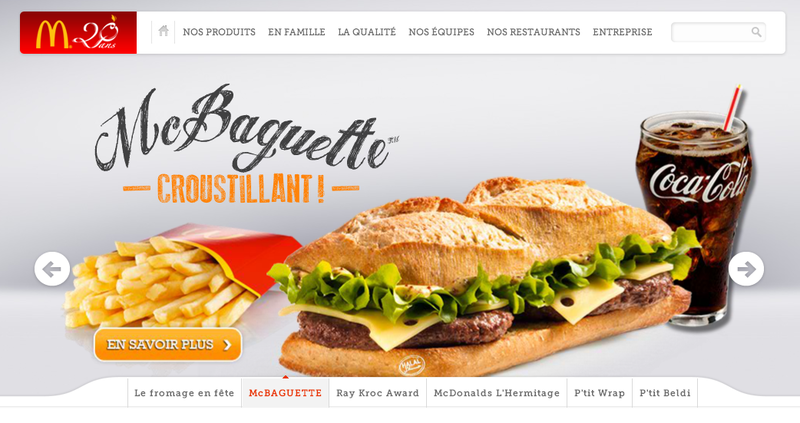 Rather than answering on Facebook, Mc Donald’s Morocco decided to remodel its web site while deleting a page which was entitled ” halal 100% ” and by laughing at Moroccan consumers. It was a first stage there. The second consisted in postponing the animation since the page Facebook on the Web site of the brand. Thus, users who arrive on Mcdonald’s.ma are welcomed by a merry-go-round where menus and novelties are scrolling. We shall notice the mention “halal” on every sandwich. McDonald’s agree quickly to stamp its burgers “halal”, but is little talkative on the implemented process in the production of the meat allegedly halal marketed in his restaurants. That you are in Morocco, from France or somewhere else, we invite you not to write to McDonald’s Morocco (who laugh at his customers in the point to turn a blind eye for three months) but to contact the Moroccan media. But also Arabic (such AlJazeera, Al-Arabiyya, etc…), in particular those who have a web site, as well as the authorities, to inform them about the situation. No matter that media and authorities do not answer. The important is at first the mobilization of each of us. Make it, let’s act, don’t wait for others to act in your place. pourquoi l’article est-il en anglais ? Du coup j’ai pas tout compris .